BBC- 11 October 2013 English footballers account for less than a third of all the minutes played in the Premier League, a State of the Game study for BBC Sport has found. The figure for home country players - 32.26% - is down from 35.43% in 2007-08 and is significantly lower than all other major European leagues according to football statisticians Opta. In La Liga, home of World Cup holders and European champions Spain, Spaniards account for 59% of all minutes played. In Germany's Bundesliga, Germans make up 50%. The minutes played by Scottish players in the Scottish Premiership has remained static - 57.36% in 2007-08 and 57.19% so far this season. But Scottish (3.27%), Welsh (3.17%) and Northern Irish (0.93%) players have got fewer minutes on the pitch in the Premier League than French (8.1%), Dutch (4%) and Spanish (6.27%) players so far this season. However, footballers from England, Scotland, Wales and Northern Ireland are playing more minutes in the Championship and the Scottish Premiership than they did five years ago. In total, 60.36% of minutes in the Premier League have been completed by foreign players so far this season, up from 56.7% in 2007-08. 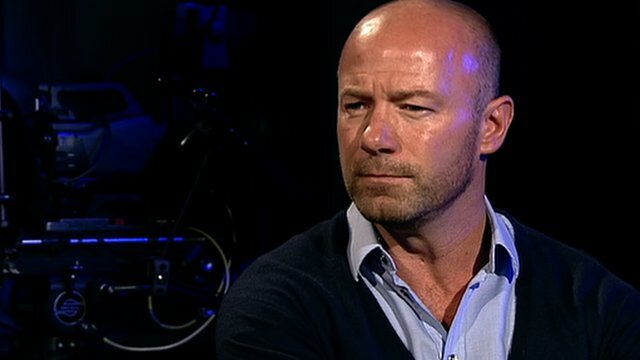 Former England captain Alan Shearer said: "These are tough times for English football at the moment. Everyone is aware that English football is not as healthy as it should be and I'm afraid it is all going to take time." Arsenal manager Arsene Wenger said the figures were a "concern", but added: "There are only two ways you can see it - you have the opportunity to have the best players in the world in England, so let's see what they have and let's produce players who have the same qualities. "Or you say, let's protect our players, keep the good players out and let's just play the English players. I believe that we live in a global world. The real question for English football is whether it can produce the players with the needed quality." In a statement, the Premier League said that it was working to encourage the development of home-grown talent, and highlighted the efforts being made as part of the Elite Player Performance Plan, a scheme designed to increase levels of investment and raise the standards of youth set-ups at English professional clubs. "The Premier League is one season into the implementation of its £340m Elite Player Performance Plan, the number one stated aim of which is to develop more and better home-grown players," a spokesman said. "Significant progress has already been made with club academies independently audited, coaching hours and provision increased, and new competitions established. "Young home-grown players, including Daniel Sturridge [at Liverpool], Danny Welbeck [at Manchester United], Ross Barkley [at Everton], Ravel Morrison [at West Ham] and several others, have already made a significant impact this season. The clubs are working harder than ever to develop more home-grown players of sufficient quality to play in the Premier League." The BBC's study examined the minutes played by every nationality represented in the Premier League, the Championship and the Scottish Premiership so far this season, compared with the 2007-08 campaign, the last time all the home nations failed to qualify for a major tournament. The findings come ahead of a crucial few days in England's campaign to reach for next summer's World Cup in Brazil, a tournament that Scotland, Wales and Northern Ireland have failed to qualify for. Despite the rise in the number of minutes by foreign players, the number of different nationalities in the Premier League fell from 68 in 2007-08 to 61 so far this season. French (8.1%) and Spanish (6.27%) players played the most minutes after English players in the Premier League. Northern Ireland have fallen out of the top 10 most played in the Premier League since 2007-08. The Republic of Ireland and Scotland have fallen to fourth and seventh respectively from second and fifth. Argentina (2.08%) and Belgium (3.59%) are new entrants to the Premier League's top 10 this season compared with 2007-08. In the Scottish Premiership, after Scottish players (57.19%), the next highest are England (16.41%), Republic of Ireland (8.65%) and Northern Ireland (3.61%). Wales are sixth (1.84%), just below the Netherlands (2.96%). English players got the most minutes (55.44%) in the country's second tier, followed by Scotland (8.72%), Republic of Ireland (8.34%) and Wales (4.53%). Jamaica (2.41%) and the United States (1.1%) make the top 10, with Northern Ireland seventh (1.82%). Only last month, Football Association chairman Greg Dyke addressed what he called a "frightening trend" of the reduction in the number of English players playing regularly in the Premier League. Against the backdrop of a growing foreign influence in the Premier League, Dyke warned England might not be able to compete seriously on the world stage without changes in the domestic game. Shearer, who won 63 caps between 1992 and 2000 said: "It makes it harder for England, there's no doubt about it. 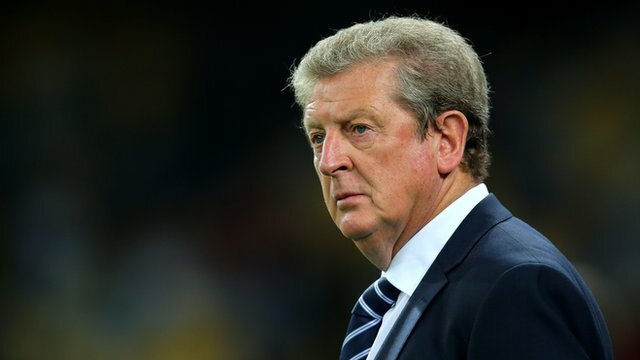 "But England didn't qualify for the US in 1994 when the percentage of British players was quite high, so I do believe that it's not only the number of foreign players in the Premier League that is making things difficult for England. 45.4% Percentage of Serie A minutes played by Italian players so far this season, down 19% since 2007-08. 50% Percentage of Bundesliga minutes played by Germany players so far this season, up 7% since 2007-08. 51.1% Percentage of Ligue 1 minutes played by French players so far this season, down 2% since 2007-08. 59.4% Percentage of La Liga minutes played by Spanish players so far this season, down 1% since 2007-8. "I believe there are a number of other things. Foreign players are a lot cheaper than British players and as we all know, managers have no time whatsoever. "There is also the hunger of young players and the coaching that players have. 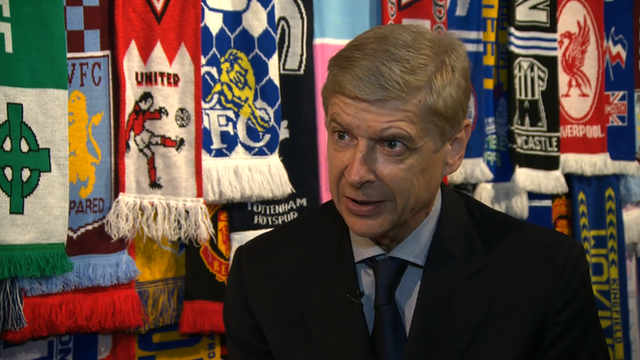 If you put all that together, then that's where England are at this moment in time." Chris Waddle, who won 62 caps for England between 1985 and 1991, said: "The Premier League is a great product to sell around the world but for the national team it does a lot of damage. "All this money flying around in the Premier League, and grassroots [football] is going backwards." Former Football Association chairman Lord Triesman said it was an "acute problem and getting worse". "Unless there is some sort of ratio idea that Uefa president Michel Platini has been advocating over the years, I expect that we are not going to resolve that problem," he added. Former Northern Ireland international Billy Hamilton, who starred at the 1982 World Cup, said the figures painted a "bleak future" for his country. "Unless the Premier League or indeed Championship put some kind of cap on the amount of foreign players then the statistics are only going to get worse for Northern Ireland," he said. "Well, if the Premier League don't introduce a cap on foreign players to four or five in a team, I can tell you that England will never win another tournament." David Wetherall, head of player development at the Football League, said he was not surprised the numbers of UK numbers were on the up in the Championship. "There's some fantastic youth development work being done in the Football League. About £60m per year is invested in youth development in the Football League, and two thirds of that comes from the clubs themselves."